Capturing digital skin images and being able to track them year-over-year is critical for the early detection and management of skin diseases and cancers such as melanoma. Objective documentation of findings is relevant for proper identification of skin lesion changes over time, onset of new lesions requiring additional assessment, and monitoring of treatment response for inflammatory, infectious, and neoplastic conditions. 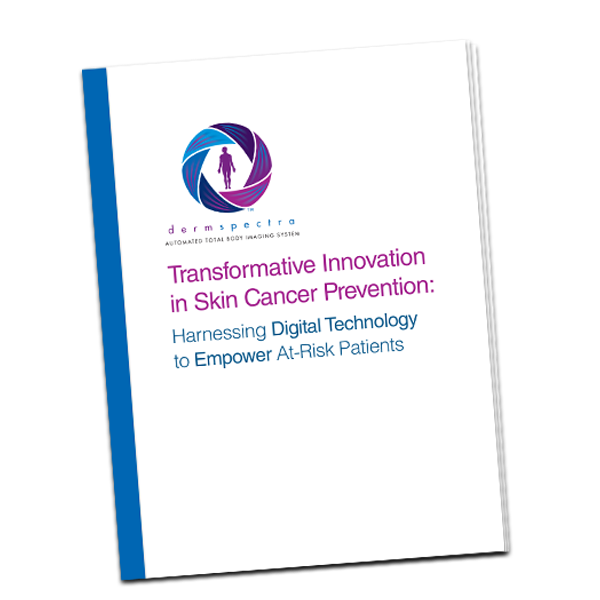 Download this FREE white paper on Innovation in Skin Cancer Prevention or fill out the form below to request more information. DermSpectra’s advanced medical technology modernizes the way physicians visually capture and compare skin irregularities by rapidly providing objective, high-definition images to aid in early detection of skin cancers. Advanced Medical Technology for Skin Cancer. 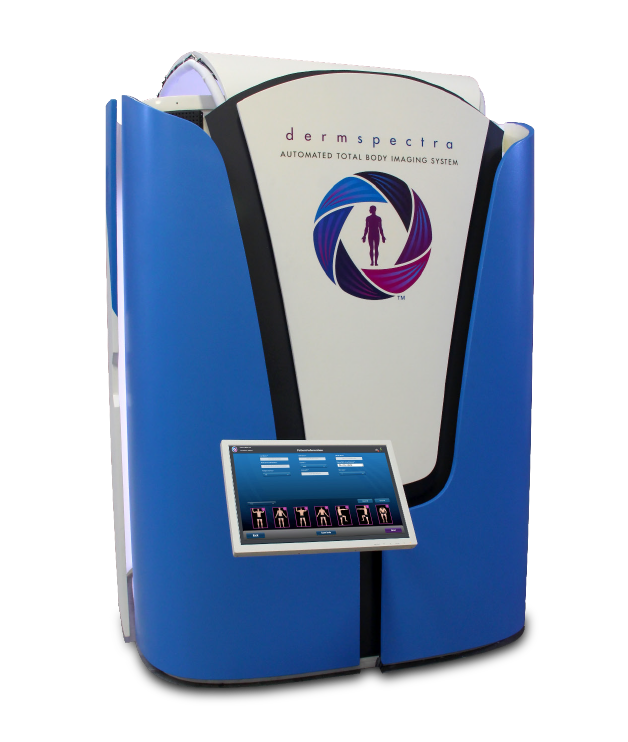 DermSpectra Total Body Digital Skin Imaging modernizes the way university medical centers, cancer centers, and dermatologists can visually detect, track, and monitor vital skin irregularities, like moles, psoriasis, eczema, and lesions. DermSpectra is an innovator in the field of digital skin imaging systems and is a leader in standardized imaged based documentation for medical practices and clinical trials.